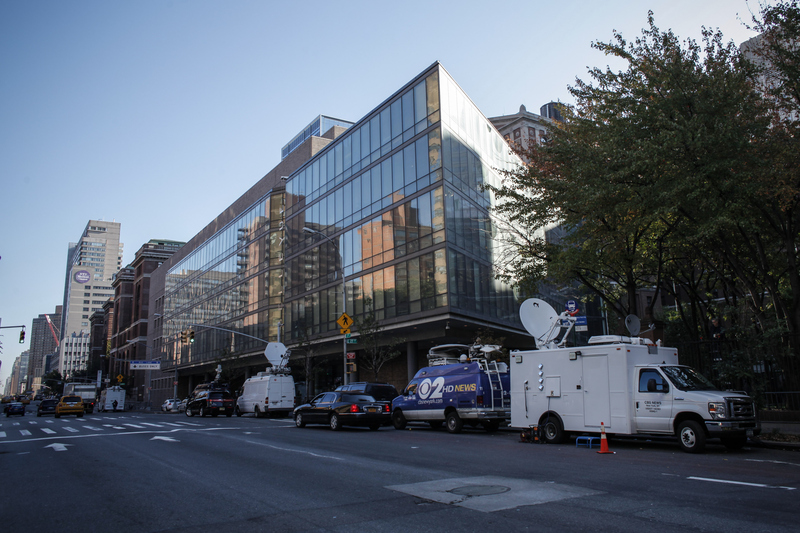 On Tuesday morning, the NYC doctor diagnosed with Ebola will leave the hospital, according to two people familiar with his treatment who spoke with the New York Times. Craig Spencer's release has not been officially made public; the Times' sources declined to be identified because they weren't authorized to disclose the information. Although Spencer was admitted to Bellevue Hospital in serious condition, he's been stable of late and recently felt well enough for a stationary bike ride and a banjo jam. The hospital confirmed that Spencer has been cured of Ebola and poses no public health risk in a statement on Monday. The 33-year-old Doctors Without Borders volunteer has been in isolation and undergoing treatment at New York City's Bellevue Hospital since Oct. 23. Spencer reported a fever and was diagnosed with Ebola that day. He had previously been treating Ebola patients in Guinea until his departure from the country on Oct. 12. While in isolation, Spencer became the latest American Ebola patient to receive a plasma transfusion from survivor Nancy Writebol. Writebol and survivor Dr. Kent Brantly have lent their blood to curing patients like cameraman Ashoka Mukpo and Dallas nurse Nina Pham. It remains unsure whether the doctor will return to his apartment in Harlem, where medical officials in Hazmat suits picked him up on Oct. 23. Spencer's fiancee, Morgan Dixon, is still being kept under quarantine in the Harlem home that they share. Spencer's release, 19 days after being admitted, is in stark contrast to Ebola cases in West Africa, where the outbreak was identified in March — after it had spread to three countries — and remains prevalent. The virus has threatened to derail the region's economy and reverse years of educational headway. The three countries most affected (Liberia, Guinea and Sierra Leone) are some of the poorest in the world, with weak healthcare systems. According to the Times, while 70 percent of Ebola patients in West Africa are dying, eight of the nine patients who received treatment in the U.S. have recovered — bar Thomas Eric Duncan, who received treatment late, after the Dallas hospital he was sent to misdiagnosed him.